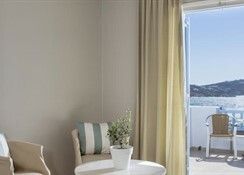 Enjoying amazing views of Agios Ioannis bay and the sacred island of Delos, this luxurious hotel in traditional Cycladic architecture is situated directly on the beach. It features a wonderful pool area with a large sea water pool, 2 bars, an indoor restaurant and a sea food restaurant on the beach. The capital of Mykonos and the airport are only 4 km and 4.5 km away, respectively. 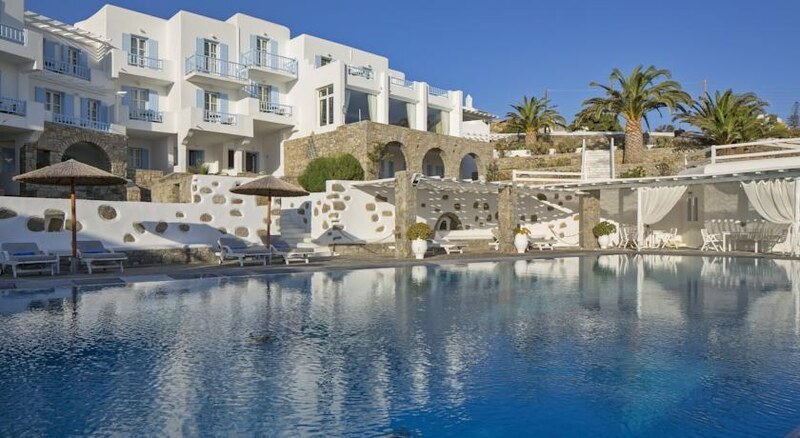 This hotel is built in the typical Cyclades style and consists of a main building and several bungalow-like buildings. It is surrounded by pleasant gardens with direct access to the beach. Facilities include a reception area and lobby, a cosy lounge with a TV, an Internet terminal, a modern bar, and a tavern. 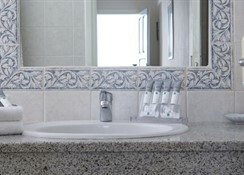 All of the hotel's public areas are air-conditioned. The excellent ï¿½ la carte restaurant with its spacious terrace offers fantastic sea views. The hotel also has its own garage and car park.